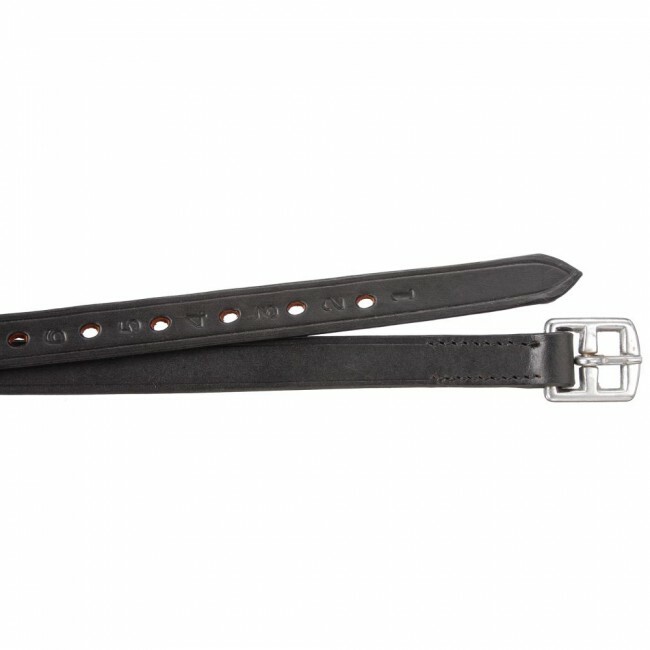 Plain edge full grain leather with heavy steel buckles. Numbered holes and 3/4" wide. Fits most miniature horses.